To reach the Sherrod Valley Cemetery from Rhodesville, Alabama, travel County Rd. 14 east for 1.35 miles. 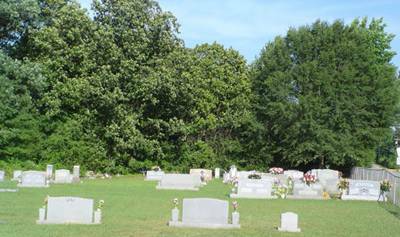 The cemetery is on the left side of the road on the corner of County Rd. 14 & County Rd. 219. It is east across County Rd. 219 from the Rhodesville Free Will Baptist Church. The cemetery was established in 1930. Brown, Marvin; b. 22 Dec 1903, only date, husband of Lauar E.
Hamm, Annie M.; b. 25 Aug 1911, d. 14 Feb 2000, wife of John A.
Hamm, Bobby Joe; b. 25 Sep 1943, d. 25 Jan 1997, husband of Brenda G.
Hamm, Glenda (Hill); b. 14 Dec 1948, wife of Larry M.
Hamm, John A.; b. 07 Mar 1905, d. 23 Jun 1988, husband of Annie M.
Hamm, William Turner; b. 24 Feb 1930, d. 25 Jul 1959, husband of Grace V.
Irions, Lois C.; b. 29 Mar 1946, only date, m: 04 May 1962, wife of Philip J.
Irions, Philip J.; b. 24 Mar 1940, d. 31 Mar 1993, husband of Lois C.
Johnson, Arnold W.; b. 12 Mar 1917, d. 22 Nov 2000, husband of Jewell F.
Johnson, Jewell F.; b. 17 Jan 1918, d. 25 Apr 2008, wife of Arnold W.
Joiner, Homer W.; b. 20 Jul 1914, d. 17 Jul 1988, husband of Susie R.
Joiner, James Glen; b. 08 May 1939, d. 21 Sep 1986, husband of Virginia G.
Joiner, Susie R.; b. 16 Sep 1916, d. 28 Feb 1996, wife of Homer W.
Pitts, Effie M.; b. 03 Dec 1908, d. 29 Aug 1988, wife of Henry H.
Pitts, Henry H.; b. 20 Jun 1914, d. 19 Aug 1985, husband of Effie M.
Risner, Grady K.; b. 25 Dec 1921, d. 18 Dec 1967, husband of Thelma N.
Risner, Thelma N.; b. 09 Feb 1923, d. 27 May 1986, wife of Grady K.
Risner, William Thomas; b. 13 Feb 1914, d. 30 Apr 1988, husband of Edith P.
Ticer, Brenda L.; b. 24 Jul 1956, only date, m: 17 Sep 1971, wife of Steven L.
Ticer, Mary Evangeline (Rhodes); b. 31 Jan 1926, d. 11 Mar 2012, wife of Raymond C.
Ticer, Steven L.; b. 30 May 1953, d. 13 May 1988, husband of Brenda L.
Wesson, Isabelle B.; b. 04 Oct 1892, d. 29 Oct 1971, wife of Willie E.
Wesson, Willie E.; b. 08 Oct 1891, d. 21 Aug 1974, husband of Isabelle B.
Williams, Peggy (Irions); b. 21 Mar 1933, d. 04 Feb 2010, wife of Willie N.